Bonfire is the ideal gift and payment tool for businesses. Sign up for an account in two minutes and get access to volume discounts, along with the features and benefits listed below. Keep funds secure: Store unloaded cards on your premises. 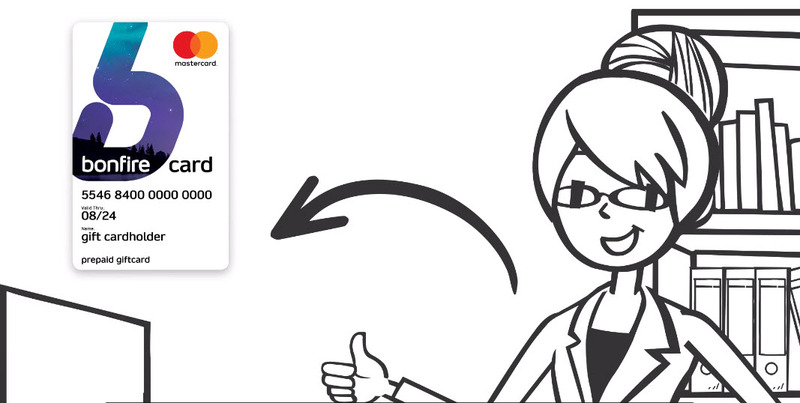 Help your cashflow:Only load funds onto cards when you need them. Get discounts: Ordering more cards saves you money. Pick your payment method:Pay via credit card, POLi instant bank transfer, or pre-load funds to your account. Get your data: Export your card and order data for use across your business. Staff rewards and incentive programs. Gifts for customers and prospects.